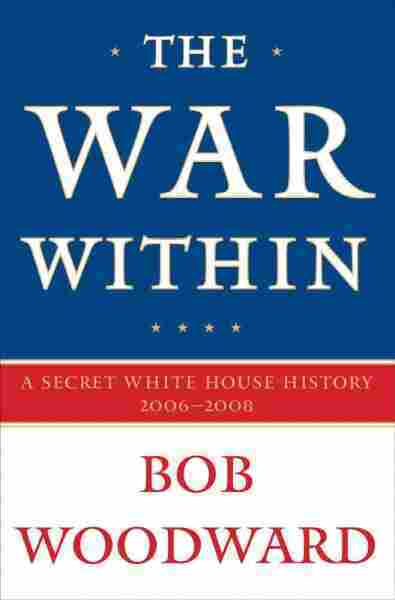 Bob Woodward Details A White House Divided The surge in Iraq is one of the issues that divides the presidential candidates, but Bob Woodward's new book, The War Within, reveals that it also divided the Bush administration and the military. One weekday afternoon in May 2004, General George Casey bounded up the stairs to the third floor of his government-furnished quarters, a beautiful old brick mansion on the Potomac River at Fort McNair in Washington, D.C. His wife, Sheila, was packing for a move across the river to Fort Myer, in Virginia, the designated quarters of the Army's vice chief of staff. "Please, sit down," Casey said. In 34 years of marriage, he had never made such a request. President Bush, Secretary of Defense Donald Rumsfeld and the Army chief of staff had asked him to become the top U.S. commander in Iraq, he said. Sheila Casey burst into tears. Like any military spouse, she dreaded the long absences and endless anxieties of separation, the strains of a marriage carried out half a world apart. But she also recognized it was an incredible opportunity for her husband. Casey saw the Iraq War as a pivot point, one of history's hinges, a conflict that would likely define America's future standing in the world, Bush's legacy and his own reputation as a general. "This is going to be hard," Casey said, but he felt as qualified as anyone else. Casey's climb to four-star status had been unusual. 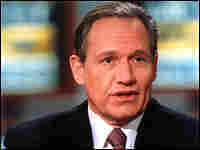 Instead of graduating from West Point, he had studied international relations at Georgetown University. He'd been there during the Vietnam War and was a member of ROTC, the Reserve Officers' Training Corps. He remembered how some students had spit on him and hurled things when he crossed campus in uniform. In 1970, after his graduation and commissioning as an Army second lieutenant, his father and namesake, a two-star Army general commanding the celebrated 1st Cavalry Division, was killed in Vietnam when his helicopter crashed en route to visit wounded soldiers. Casey had never intended to make the Army his career. And yet he fell in love with the sense of total responsibility that even a young second lieutenant was given for the well-being of his men. Now, after 34 years in the Army, he was going to be the commander on the ground, as General William Westmoreland had been in Vietnam from 1965 to 1968. Casey had no intention of ending up like Westmoreland, whom history had judged as that era's poster boy for quagmire and failure. Casey had never been in combat. His most relevant experience was in the Balkans — Bosnia and Kosovo — where irregular warfare had been the order of the day. He had held some of the most visible "thinker" positions in the Pentagon — head of the Joint Staff strategic plans and policy directorate, J-5, and then the prestigious directorship of the Joint Staff, which served the chiefs. But aside from a 1981 stint in Cairo as a United Nations military observer, he had spent little time in the Middle East. After getting Sheila's blessing, Casey met with Rumsfeld. The two sat at a small table in the center of the secretary's office. "Attitude" was important, Rumsfeld explained — Casey must instill a frame of mind among the soldiers to let the Iraqis grow and do what they needed to do themselves. The general attitude in the U.S. military was "We can do this. Get out of our way. We'll take care of it. You guys stand over there." That would not spell success in Iraq, Rumsfeld explained. As he often would describe it later, the task in Iraq was to remove the training wheels and get American hands off the back of the Iraqi bicycle seat. For the most part, Casey agreed. "Take about 30 days, and then give me your assessment," Rumsfeld directed. Casey was heartened that Rumsfeld and he shared a common vision. But he was surprised that the secretary of defense had devoted only about 10 minutes for a meeting with the man about to take over the most important assignment in the U.S. military. The president held a small dinner at the White House for Casey and John Negroponte, the newly designated ambassador to Iraq, their spouses and a few friends. It was a social event, a way to say good luck. Casey went to see Secretary of State Colin Powell, who had served in the Army for 35 years and been the chairman of the Joint Chiefs of Staff during the 1991 Gulf War. Powell did not conceal his bitterness. Rumsfeld is screwing it all up, he told Casey. Marc Grossman, one of Powell's senior deputies and an old friend of Casey's, put it more pointedly. "These guys at DOD are just assholes," he said, "and I don't have any more patience for them." Casey concluded that there was no clear direction on Iraq, so he invited Negroponte to his office at the Pentagon. Negroponte, then the U.S. ambassador to the United Nations, had volunteered for the Iraq ambassadorship. At 64, he was a 40-year veteran of the Foreign Service. He believed that an ambassador was the executor of policy made in Washington. He and Casey agreed that they weren't getting much guidance from above. "What are we going to accomplish when we get over there?" Casey asked, and they started to hammer out a brief statement of purpose. The goal was a country at peace with its neighbors, with a representative government, which respected human rights for all Iraqis and would not become a safe haven for terrorists. The general and the ambassador were pleased with their draft. They had laid out mostly political goals, despite the fact that the United States' main leverage was its nearly 150,000 troops on the ground. In Iraq, Casey relieved Lieutenant General Ricardo Sanchez, who had been the junior three-star in the Army when he had taken command of the forces the previous year. Casey asked him to stick around for a while after the change of command ceremony. Over dinner, Sanchez unloaded his bitterness about the lack of support he felt he had received from the Army, the Pentagon and Washington. "This is ten times harder than Kosovo," he said. Casey could relate. He was familiar with the deep, irrational hatred that had driven the ethnic cleansing and other violence in the Balkans. He met with officers from the CIA station in Baghdad. They posed ominous questions: Could the whole enterprise work? What was the relationship between the political and military goals? Casey and Negroponte had settled on the political goals, but how would Casey achieve the military goal of keeping Iraq from becoming a safe haven for terrorists? As he was briefed and as he read the intelligence, he saw that terrorists had safe havens in at least four Iraq cities — Fallujah, Najaf, Samarra and, for all practical purposes, the Sadr City neighborhood in Baghdad. As Casey had passed through neighboring Kuwait on his way to Baghdad, the Third Army officers had a message for him: "If you want to understand this, you need to talk to Derek Harvey." Harvey, a 49-year-old retired Army colonel and Middle East specialist who worked for the Defense Intelligence Agency, was a controversial figure within the U.S. intelligence world. He believed in immersion intelligence work, spending months at a time gathering information in the field rather than relying solely on reports and statistics. In the late 1980s, Harvey traveled throughout Iraq by taxicab — 500 miles, village to village — interviewing locals, sleeping on mud floors with a shower curtain for a door. He resembled the television detective Columbo — full of questions, intensely curious and entirely nonthreatening. After the 1991 Gulf War, when the CIA was predicting the inevitable fall of Iraqi dictator Saddam Hussein, Harvey, then a major, insisted that Hussein would survive because members of the Sunni community knew their fortunes were tied to his. He was right. Months before the 9/11 terrorist attacks, Harvey wrote an intelligence paper declaring that al Qaeda and the Taliban leadership in Afghanistan posed a strategic threat to the United States. After the 2003 invasion of Iraq, Harvey had intermittent Army assignments in the country, traveling quietly, talking to insurgents, sitting in interrogation rooms. One of his approaches was so-called DOCEX — document exploitation. He spent hours poring over files found in safe houses and financial data discovered in Saddam's briefcases. It was clear to him early on that a vacuum existed in Baghdad. Where was political power? Harvey made scouting missions into the provinces in an SUV, making contact with tribes, learning that former Baathist regime leaders, generals and other former officers were reuniting. He studied documents and letters found in buildings that U.S. forces had raided. Together with his interviews, they told a story: The old regime elements had plans to create a violent, hostile environment. Within U.S. intelligence agencies, a debate was taking place about how much real organization existed among the insurgents. Who was really in control? Harvey found that the insurgency was based on the old trust networks of professional, tribal and family relationships connected with the mosques. Guidance, instructions and exhortation — even the planning documents for operations — were often written in the religious language of holy war. Harvey found that U.S. units had reported a lot of attacks when they first arrived, but the longer they stayed in Iraq, the fewer they reported. It wasn't because the troops had appeased or vanquished the insurgents. Rather, near the end of their tours, they ventured out into the population less and less — sometimes never. He also concluded that only 22 to 26 percent of the violence directed at U.S. forces was being reported. General Sanchez never bought into Harvey's conclusions about the insurgency, even as officially measured violence in the classified SECRET reports kept rising. During one four-month period in mid-2004, the attacks doubled from about 1,000 a month to 2,000. Casey summoned Harvey to a meeting in early July 2004. Harvey found the general on a balcony at his new headquarters at Camp Victory, gazing out over Baghdad. Casey held up two cigars. What's really going on in Iraq? Casey asked. The Sunni insurgency is growing and getting worse, Harvey explained. It's organized. It's coherent. And its members have a strategy. They are gaining popular support. They believe they are doing well, and by any measurement they are — the number of attacks, their logistics, their financing, their external support, freedom of movement, ability to recruit. Every trend line was going up. Way up. The insurgency is not a guerrilla war designed to win political power, he said. "It's all about wearing you out, getting you to leave and subverting the existing order, and infiltrating and co-opting the emerging Iraqi institutions." The Iraqi government was weak, he added. It needed to be stronger, much stronger, but the United States was not going to change the attitudes or the culture. "We have to work around them," he said. "You're not going to force them to make decisions that they're not comfortable with. We don't have the leverage. We really don't." Harvey said the Americans must learn to operate with humility, because there was so much they didn't understand about how and why the Iraqis made decisions. We think we know, but we're delusional. We get these glimpses, and we extrapolate. But if you really dig, what's it all really based on? Only whispers of the truth. "We don't understand the fight we're in," he said. Harvey said the revelations about abuse of prisoners at Abu Ghraib months earlier had inflamed Iraqis. Photographs of smiling U.S. soldiers alongside naked, hooded, manacled and leashed inmates had flooded newspapers, television screens and the Internet. They had spread like a lightning bolt through Iraqi society and sent a devastating message: The U.S. occupation was the new oppressor. As their cigars burned down and their conversation drew to a close, Harvey fixed his gaze on the new commanding general. "We're in trouble." 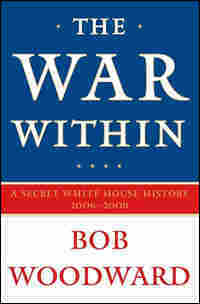 In Washington, infighting over the war had gone from bad to worse within the administration since the 2003 invasion. "Control is what politics is all about," legendary journalist Theodore H. White wrote. War is also about control — both on the battlefield and in Washington, where the strategy and policy are supposed to be set. But from the start, no one in the administration had control over Iraq policy. In the early days of the war, the president's national security adviser, Condoleezza Rice, and Hadley, her deputy at the time, had worked on Iraq nonstop and yet they never got control over the policy making. They were no match for Rumsfeld. The president had signed a directive before the invasion, giving the authority for an occupation to the Defense Department. Bush and Rumsfeld's selection of L. Paul Bremer, a career diplomat, to act as the viceroy of Iraq further diminished the role of Rice and Hadley, as well as Powell at the State Department. Bremer all but ignored the National Security Council. "We're all told to stay out of it," Hadley complained to a colleague. "This is Don Rumsfeld's thing." Bremer, who as a presidential envoy had a direct reporting line to the president, bypassed even Rumsfeld and made important decisions unilaterally and abruptly. Some of those decisions proved disastrous, such as disbanding the Iraqi army and excluding from government service tens of thousands of former members of Saddam's Baath Party. Rumsfeld had his own view of how the U.S. should proceed. He would send out one of his "snowflakes," brief documents asking questions, looking for details, demanding answers, when it was unclear to him what had happened. Though unsigned, everyone knew they represented his orders or questions. But if a snowflake leaked, it provided deniability. The snowflake sent on October 28, 2003, was two pages long and classified SECRET: "Subject: Risk and the way ahead in Iraq. In discussing the way ahead in Iraq, all agree that we should give Iraqis more authority more quickly." Powell had a different view. Control was about security. In the first year after the invasion, Bush and Rice repeatedly expressed worry that the oil production in Iraq and availability of electricity were dropping — visible signs that conditions were worse in Iraq than prior to the invasion. "Petroleum is interesting. Electricity is interesting," Powell said, but added, "Mr. President, none of this makes any difference unless there's security...Security is all that counts right now."